Are you looking for an auto repair place to service your Chrysler in the Denver Tech Center area? Our auto mechanics are ready to get your Chrysler vehicle purring again with our expert service. We’re lucky here at Antero Automotive & Truck Services that all our technicians are self-motivated. We all love what we do and that means honest and fair service for your Chrysler when you bring it in. 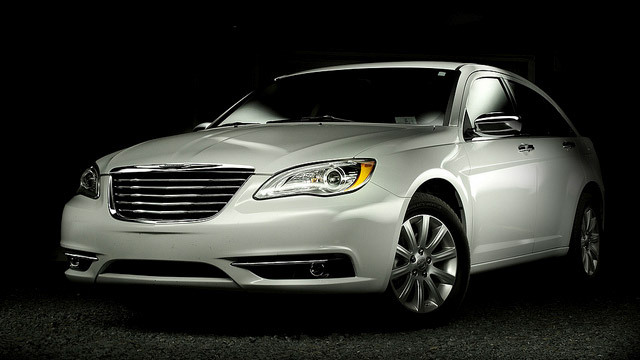 Whether you have a Chrysler sedan or a minivan, Chrysler vehicles still need regular service and maintenance. At Antero Automotive & Truck Services in the Englewood and Denver Tech Center area, we’re happy to deliver that service for you. We know that your car is important to you because you want to be able to jump in it and go the instant your foot presses that gas pedal. Your Chrysler needs regular service just like everyone in your family needs to go to the doctor for regular checkups. Our customers talk about our honesty--since our team is not paid on commission, no one here feels the need to pressure you into buying things you don’t really need and we look out for your best interest and safety. If there are things you can get by without, we’ll tell you. The warranty is a nationwide Napa 3-year/36,000-mile warranty. Antero Automotive & Truck Services is AAA approved, ASE Blue Seal Shop, Repair Pals certified. One thing that really bothers us is delivering a dirty car. That’s why every car gets washed. Yes, that includes your Chrysler vehicle. "Excellent service. I've had a few times where they could have done services I thought I needed and they told me I didn't need them....sign of a good shop." -- Mark V.
When your Chrysler needs some tender loving care, give Antero Automotive & Truck Services a call! Our goal is not only to help you with your Chrysler repairs but to become a partner with you and whatever auto repairs you may need over your lifetime. We want to be your go-to choice whenever your vehicle or vehicles have issues. Schedule an appointment today, or stop by. Antero Automotive & Truck Services is located at 6615 S. Dayton Street, Greenwood Village, CO, 80111.